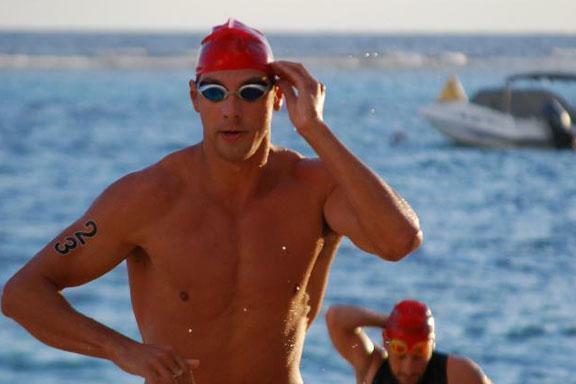 For more information on the Flowers Sea Swim events in Cayman, check out our article. 2019 is the 27th anniversary of the annual Flowers Sea Swim! 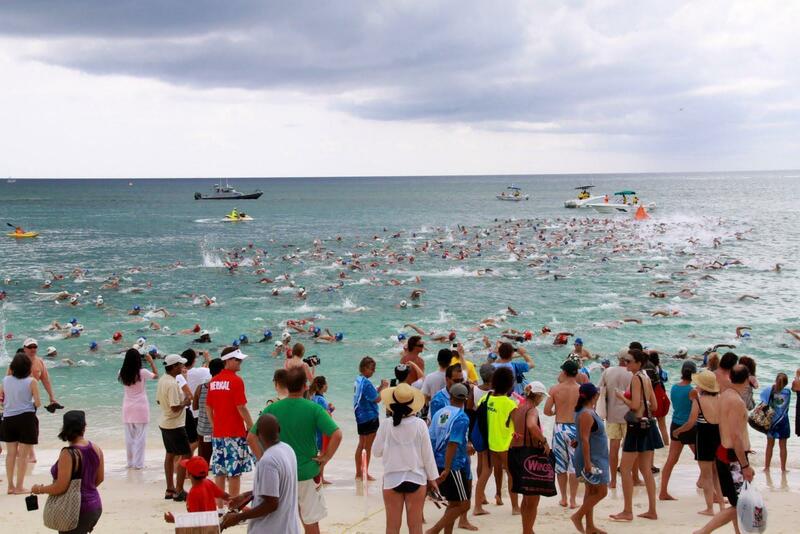 The Flowers Sea Swim is Grand Cayman’s flagship sporting event. Last event’s race boasted over 1000 registrants. Participants vary in age from 8 to 80 years old and in skill, from novices and first-timers, to gold medal Olympians and world championship open water specialists from around the globe. The unique draw of the Flowers Sea Swim is not only its flawless course conditions along Cayman’s beautiful Seven Mile Beach, but the numerous random prizes. 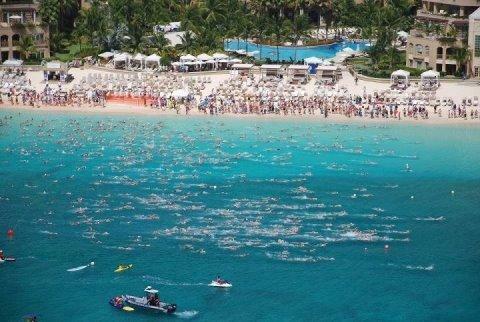 The race is the world’s richest open water event with over $100,000 in cash and random prizes. The odds to win a random prize are 1-in-5 and previous giveaways have included blackberries, ipad’s, hotel stays, and dozens of airline tickets. All finishers receive a fantastic and goody bag filled with prizes and surprises! The Walk & Watch program will also be offered again. Ideal for the non-swimmer who wants to be able to take part in the excitement of the Flowers Mile and contribute to a worthy cause at the same time.